Joe Gere said he died on the afternoon his 12-year-old daughter Brenda disappeared. It was left to Brenda's mother Elaine to sustain her stricken family, search for her missing child, and pressure the authorities for justice. From the first minutes of the investigation, suspicion fell on Michael Kay Green, a steroid-abusing "Mr. Universe" hopeful, but there was no proof of a crime, leaving police and prosecutors stymied. Tips and sightings poured in as lawmen and volunteers combed the Cascades forest in the biggest search in Northwest history. Years passed with no sight of the blue-eyed girl or the bright clothes she'd worn on the day she disappeared, but Elaine remained undaunted. 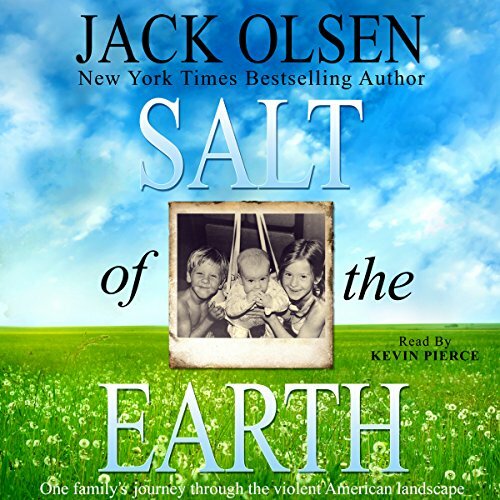 Salt of the Earth is the true story of how one woman fought and triumphed over life-shattering violence and how she healed her family - and herself. Salt of the Earth is the true story of a courageous woman who survived a hellish 20th-century nightmare. Mob violence, injustice, kidnapping, murder, and suicide were the black holes in the awful astronomy of Elaine Gere's life. Somehow she had to summon the courage to endure: to honor her beloved dead and to rebuild the shattered lives of the sons who depended on her strength. 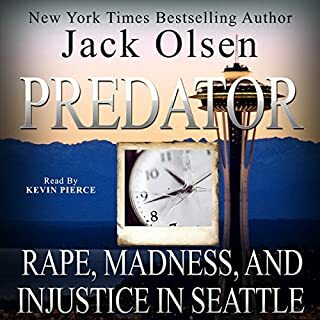 Jack Olsen has been lauded for his psychological insights into the most violent criminals in such previous masterworks as Doc, The Misbegotten Son, and Predator, but he has never overlooked their victims. By viewing the world through the eyes of Elaine Gere and her devastated family, he finds the core values that enabled them not only to survive and flourish, but, in the end, to triumph. His narration was excellent. He has a tone that sounds like the actor, Tom Hanks. At first I found the pace a bit slow, but then I settled into the story. Kevin got the right balance of conveying a serious story but without a dry historical distance. He used accents for the dialogue but these were done well and didn't detract from the subject. This is the true story of a child disappearance and the investigation to solve the crime. It starts many years in the past with the story of Elaine (the mother) and then section two rewinds to tell the background of the father. Usually I dislike books that take ages to get to the event (in this case the disappearance of teenage Brenda), but I found this worked well in this book for two reasons. Firstly because the backstory was well told and in a personal way with dialogue rather than historical distance. Secondly it gave insight into the family so that when Brenda disappeared it was easier to empathise and understand the actions of the parents.After the story reaches the crime -the disappearance and aftermath it then goes back in time and we hear about the background of the main suspect. This provides an interesting viewpoint that many crime novels miss and it helps make the suspect a real person, rather than a caricature. I felt it didn't undermine the crime or excuse it, but put things into a wider context for the listener.I found the whole story compelling and I listened almost non-stop in my spare time, finishing in a few days. The fact I wasn't aware of the outcome helped keep this a 'page turner' for me. Finally, I must mention I received a no-cost copy in exchange for a review, but don't let this influence you. This really is a great listen that I wholeheartedly recommend. It's a portrait of life and family, poverty and tragedy-not a gruesome crime /CSI novel. In one review or another, the reviewer said, to my astonishment, that the prologue had given away the whole story ... as if it were a fiction novel. Not about this book, but another true crime book. I looked at those words in bewilderment. This is True Crime, not a suspense novel. This book is so well done that it feels like a suspense novel. It puts you right in there with the family. Some True Crime books are told through the eyes of the police, the prosecutors or the lawyers. This book puts you more right in the midst of the family. For myself, I marveled at Elaine's incredible strength of character, love, resolve. She is not a heroine in a fictional novel, but a real woman who suffered a terrible series of tragedies but never felt sorry for herself. I think I should love to photograph her one day. Her eyes must hold the spectrum of emotions only visible in those with heart, strength, love, resolve. Kevin Pierce is a fine narrator. His voice lets you imagine the entire scene. I have many of the books he has narrated. Yes, I do like reading paper books...very much...but without these audio books, I'd never get a chance to go out walking for 4 miles without boredom. But I think I will have to start getting the Kindle editions as well because I want to see the spelling of the names and places. Jack Olsen has taken facts and woven a fine tapestry. He does not sensationalize this awful deed, but he does not marginalize it either. His point of view is not pounded into your head. Only a fool would not share how Brenda foiled another prior attempt (I won't clarify). Enjoy the mastery of a true wordsmith with this True Crime book. Lots of Kevin Pierce...can't go wrong. What did you love best about Salt of the Earth? The narration was great and I loved the book. I really got into each of the characters and I felt that I understood all of the perspectives. The thing I liked about this one is that it went on for a long time and really developed the storyline without getting boring or mundane. I have begun to select books just because of Kevin Pierce. He is a perfect choice for this kind of book. I've been completely immersed in this book in the two or three days it took me to listen to it. 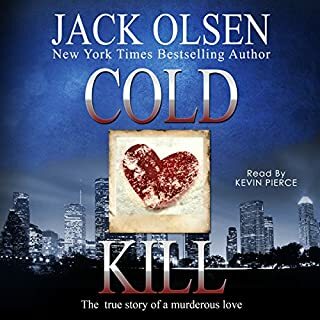 Jack Olsen and Kevin Pierce come together to present a story I couldn't put down and despite having read dozens of his books and other true crime stories this one brought me to tears. Loved how the writer told the story of love, strength, and pain. Really digs at your core. 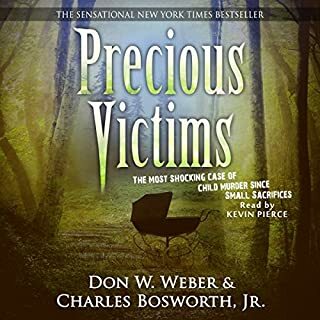 I would recommend this book to lovers of true crime novels, with the caveat that the first 2-plus hours are dedicated to describing the upbringing and town life of the parents in the story. The author takes you through their childhoods, albeit briefly, through meeting, dating, and having children...and then raising them until the daughter is 12 and is abducted. So I felt like it was more of a life story than a crime story. However, this is not a negative thing. I struggled to get through the first two and a half hours, wondering where the crime was. But if you can get through that, the writing starts to feel more relevant to the actual crime as the descriptions of family life detail the family dynamics and Brenda's (the daughters), role in the family, so you can imagine how her disappearance will affect each family member. By the time it got to the abduction, I was hooked. I was even listening to the story during breaks at work, and feeling irritated I only had 15 minutes to devote to it. Kevin Pierce narrates superbly and has a voice that, quite honestly, lends itself to hours of enjoyable listening. I do recommend this book to anyone who has an interest in true crime, but again, it took patience for me to make it through the first 2.5 hours. I received this book at no cost in exchange for a fair and honest review. Would you listen to Salt of the Earth again? Why? Yes, the development of characters is like nothing I have ever read before. You feel like you are right there experiencing the story with them. What other book might you compare Salt of the Earth to and why? 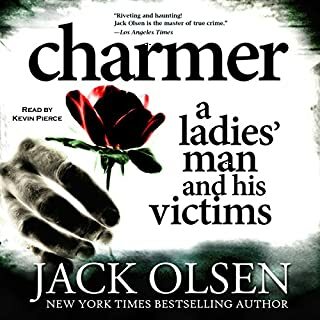 I am currently reading another Jack Olsen book, and it is great, but this one is still the best. yes, many of them, he is by far the best narrator of all books I have listened to. I don't want to spoil anything by talking details, but the strength of all of the characters was so inspiring, and I love the back story of all of the families. If you don't get around to reading/ listening to any other books this year, make time for this one, it will be worth it. I am a rather harsh reviewer and many things can turn me off about books, and I have nothing at all but compliments to say about this book. 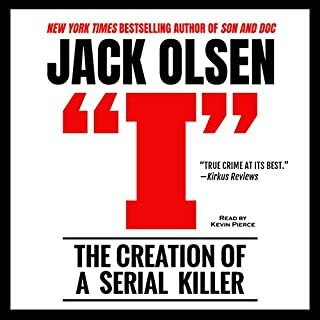 One of the absolute best true crime books ever written. Kudos! A complete life story. More than just a book. Almost a journal of events. I could not stop listening to this book. The way it is written was phenomenal. You really get to know most of the characters on a deeper level. That doesn't happen very often. I found myself waiting in anticipation for the verdict. Crying with family and screaming with joy over victories. By far one of the greatest books written! What made the experience of listening to Salt of the Earth the most enjoyable? Beautifully narrated by Kevin Pierce. A stunningly crafted book spanning the generations of a family who go through hell and back. Takes a while to get going, but it's worth the wait. Thoroughly enjoyed. Excellently written tale of a families struggles after the murder of one of the children. Narration by Pierce - 100%. 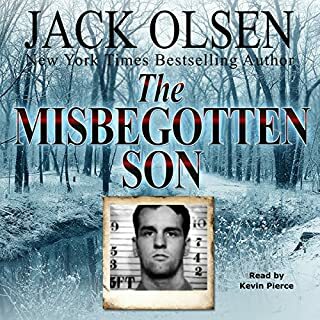 Good reading of a well written book, however the base story underneath it all is a lot sparser than Olsen's other works. Felt a bit "padded" compared to Son, Doc, Misbegotten Son, etc.